Our pets are our family and we want what’s best for them. But if you love using your essential oils, you might start wondering if it’s safe for your dog, cat, horse, turtle, parrot, boa constrictor—whoever you share your home (and heart!) with. This blog is the first in a series where we will dive into more detail. We aim to provide you with the education and confidence you need to make the safest choices for your entire family. So, are essential oils safe for pets? There is no hard “yes” or “no” to answer this. There are so many factors to consider first. The species of your pet, the oils you are using, the amount of oil you use, and how you are using them all contribute to the final answer. Lizards, snakes, and fish, OH MY! First, it’s important to consider that there is a lack of scientific information and clinical studies about the health impact of many essential oils on most pets. This is especially true regarding reptilian and aquatic pets. Because of this, we currently discourage diffusion around these animals, as well as topical application. While we recognize that there are plenty of personal accounts of success on this front from bloggers galore, please consult with your veterinarian before attempting to use aromatherapy with your leopard gecko, corn snake, guppies, and everything in between. 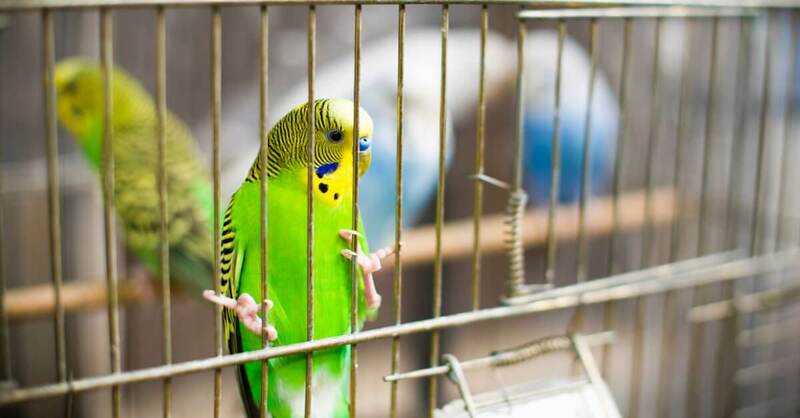 If you have a beautiful bird in the home, we also do not recommend diffusion near the bird or applying oils topically to birds. While credible information on birds and essential oils are scarce, we do know that birds are incredibly sensitive to household cleaners, such as air fresheners and scented candles. So sensitive in fact that these products have been known to cause serious health issues and even kill birds. This is primarily due to their sensitive respiratory system that can negatively respond to inhaled toxins. 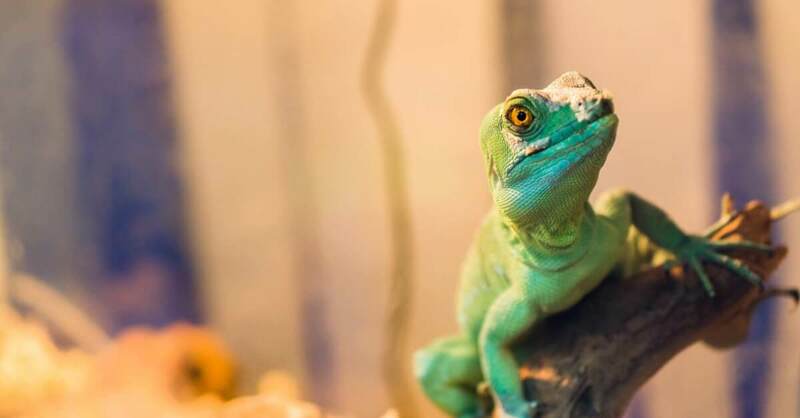 As with reptiles and fish, there is a terrifying amount of unsubstantiated information online that encourages these animals to have direct, sometimes undiluted, contact with essential oils. We encourage everyone to talk with a veterinarian before attempting aromatherapy on their birds. For our friendly feline pets, essential oils can be a potentially toxic mix. Unsafe use can lead to respiratory distress and liver failure, whether inhaled or applied topically. This is because cats lack certain enzymes that provide the ability to properly metabolize all the different compounds in essential oils. And unlike the caged bird or terrarium restricted reptiles, our cats generally have complete, unfettered roam of the home. They are often allowed to go wherever they please, or at least they sure think that. But this is what makes them especially susceptible to the dangers of aromatherapy. They can knock over diffusers, rummage through our passive diffusion methods (think EOs on cotton balls, reed diffusers, and potpourri), and even try to get all cozy and cute on us right after we just slathered our skin with our favorite diluted essential oil lotion. This can expose them to undiluted oils (like if they knock over a full diffuser and step in the water/oil combination) or topical application (like when they do that adorable whole body rub all over our hands and face) if we have just applied oils topically to ourselves. Don’t worry… good news is coming! 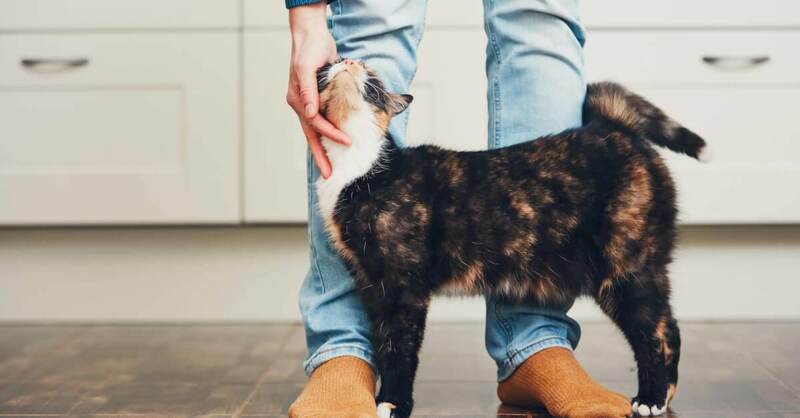 However, the upside is that there is currently an interest in both the aromatherapy and veterinary communities to make serious inquiries into the relationship cats have with essential oils. Our current stance at Plant Therapy is to discuss this topic with your veterinarian. We will discuss this further in another blog, don’t worry! So, if you have lizards, fish, snakes, birds, or cats, you might feel super bummed out. Can you even use your essential oils at all?? Of course you can! There are plenty of ways to continue your aromatherapy journey AND provide a safe environment for your pets. For instance, diffusing in a well-ventilated room that is cut off from these pets is okay. Better yet, if you have a two story home you can diffuse on the level your pets are not on. You can also still enjoy all your oils topically, just make sure that you do not handle your pets immediately afterward or wash your hands after application. In the shower or bath, feel free to use your favorite essential oils. And don’t forget about your handy aromatherapy inhaler! What about your partner-in-crime? Your best friend? Your fur baby? Dogs can benefit immensely from aromatherapy when it is done safely. However, it is incredibly important to keep in mind how very powerful a dog’s sense of smell is. We do not recommend using a nebulizing diffuser around dogs since its output is undiluted and they produce a very strong aroma. Please begin with the lowest dilution recommendation and increase as necessary for specific concerns. We encourage you to introduce essential oils slowly to your dog and work on creating a positive association with the oils you want to use. We will go into more details about essential oils and dogs in our next blog about animals and aromatherapy. 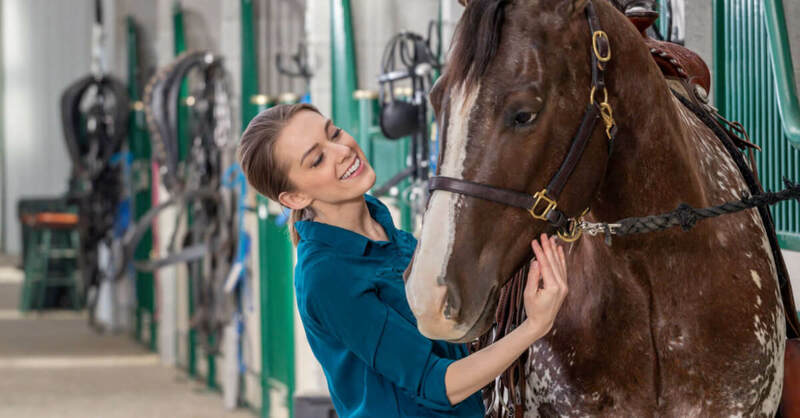 For those of you who are lucky enough to have an equestrian beauty roaming your pasture, rest assured that horses also can enjoy the benefits that proper use of essential oils can provide. From emotional issues, such as trauma, to physical ailments that could use a boost of immune support, aromatherapy can help. Horses, like dogs, also have a great sense of smell that can be easily overwhelmed by essential oils. For this reason, we recommend a dilution of 1% – 2% for horses. Introduce essential oils gradually and in a positive manner to help create a good association. Don’t worry—we will provide more information on aromatherapy and horses very soon to help answer all questions and concerns! 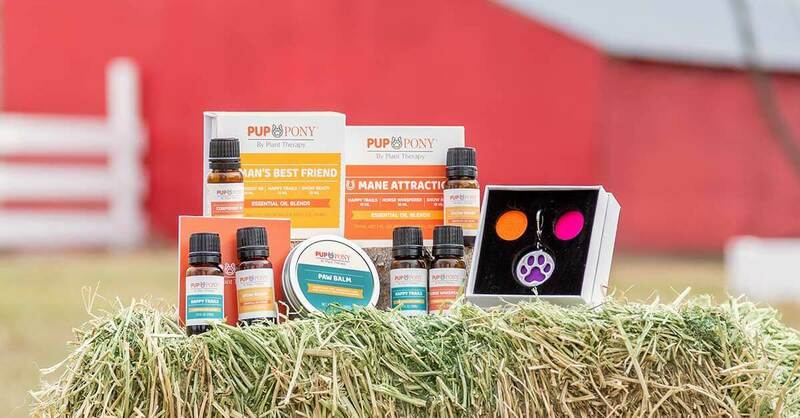 Plant Therapy’s Pup & Pony line was created to provide a safe, natural, and effective method for supporting our beloved four-legged friends on their journey to emotional and physical well-being. We understand and have fully experienced the therapeutic properties of essential oils with humans. And now, after undergoing extensive research, we are excited to extend the same benefits to our animal companions in a safe and efficacious manner. Say hello to Pup & Pony! Confident K9: Confident K9 was formulated for dogs who struggle with being alone. It helps promote relaxation, support doggy confidence, and soothe worry. Whether it’s excessive barking, shaking, chewing on belongings or clawing at your front door, Confident K9 can help! While Confident K9 was created specifically with dogs in mind, it is also safe and effective for horses who may struggle with similar issues. Happy Trails: Happy Trails was created to make traveling easier for your dogs and horses. Our four-legged friends can experience motion sickness during travel just like humans. This blend’s scent is soothing to your animal’s upset stomach, and also works to comfort your animals so they stay calm and worry-free. Horse Whisperer: Just like humans, dogs and horses can develop fear and anxiety disorders after a traumatic experience. Trauma is especially common in rescue animals but also occurs during events we may not normally consider, such as forced weaning, continuous use of ill-fitting tack, etc. This blend helps to calm and comfort animals while supporting their emotional healing process. While Horse Whisperer was created specifically with horses in mind, it is also safe and effective for dogs who may struggle with similar issues. Show Ready: Show Ready was created to keep your dogs and horses healthy. Dogs and horses become more susceptible to illness and disease during times of travel, stress, when being boarded for long periods of time, or when exposed to other ill or unfamiliar animals. This blend utilizes essential oils that will help to support the immune system and offer protection from illness. For questions regarding essential oils for horses, please contact our Customer Service Team at [email protected]. Your inquiry will be directed to our Certified Aromatherapists who have undergone specialized animal aromatherapy training. Over the next couple of weeks, we will introduce more in-depth information on animals and aromatherapy. Hopefully, subsequent blogs will answer any and all of your concerns! Learning lots from our animal series? We sure hope so! Make sure to head over to our Safe Essential Oils Recipe group on Facebook to share your experiences! Bell, K.L. (2002). Holistic Aromatherapy for Animals: A Comprehensive Guide to the Use of Essential Oils & Hydrosols with Animals. Findhorn Press. Morag, N. (2011). Essential Oils for Animals: Your Complete Guide to Using Aromatherapy for Animal Health and Management. Off The Leash Press. Morag, N. (2015). The Aromatic Dog: Essential Oils, Hydrosols, & Herbal Oils for Everyday Dog Care: a Practical Guide. Off The Leash Press. Excited about this new product line! Will there be a blend that will address flea and tick issues for dogs? OR is there a recipe or current blend that will help? I can’t wait to try Confident K9 on my 2 dogs! One is scared of everything and the other is so high strung! She definitely needs something to help her relax. Question for you…can any of these EO’s or EO’s in general be used on potbelly pigs? Betty, please reach out to our certified animal aromatherapists at [email protected] for any concerns not covered in this blog. Thank you! Such an exciting line of products for pet lovers! I am really going to have to try Happy Trails, for my dog that gets so sick in the car. So happy that Plant Therapy is addressing the issue of EOs and pets. I’ve ordered my pup & pony set – it addresses two of my beagles’ problem areas, anxiety and car-sickness, and I can’t wait to try these with them! Thank you. PT. I try to be extra careful arounds pets because I have not read much about using eos around them. I look forward to more educational articles from you. This is so exciting! It’s nice to know PT is obviously willing to go above and beyond for their customers and their fur-babies. There is so much conflicted info when it comes to aromatherapy safety and pets. Glad I have somewhere to get trusted info on the subject! Confident K9 sounds promising for my dogs. I have cats and rabbits too, so I will be careful not to use my oils near them. Thanks PT. You need hydrosol blends designed for cat! Calming room spray that help both human and cats, for example! Marsha, please contact our Customer Service Team at [email protected]. Your inquiry will be directed to our Certified Aromatherapists who have undergone specialized animal aromatherapy training. Thank you! I’m so happy PT has expanded to dog friendly blends! I look forward to Dog Friendly singles! Thank you, Plant Therapy! Just another reason why I love you so much! Can’t wait for more info on the kitties but am tempted to grab the dog ones to try, the blends sound amazing and I ways keep the window my cat sits at open when I diffuse. Unfortunately it’s not safe to use EOs safe for dogs with cats. Cats are more susceptible to toxicity -/ Everything I read says not to use EO at all with cats, even non-toxic ones, since cats hate strong smells anyway. Hydrosols are the way to go! I have 2 cats and if glad to know plat therapy is looking out for us! I am sooo excited to have this line. The timing couldn’t be worse financially, but the tide is always changing. I have researched and worried over my pets and oil usage for so long. They aren’t my pets. They are my hairy children. Thank you PT. My next order will contain a confident k9. Both my pups have some anxiety and I’m despret for some help! Can’t wait!! Great article like always. Look forward to reading more on this subject. Thank you for addressing cats in this article. I look forward to hearing more about how to safely use essential oils around cats! My GOATs respond in 2 seconds to neat orange oil (rubbed in my hands). They go from rolling-eye scared (hoof trimming by a stranger) to ‘oh where did theses chips and apples come from?” … treats had been in front all the time, she couldn’t see through her fear. It made an essential oil believer out of the hoof trimmer. Will your vet talk goats too? 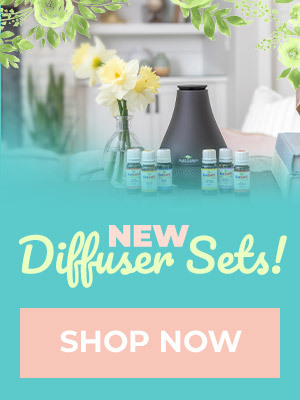 I’m so excited to pass this information along to a friend who would love to be using essential oils but is terrified to bring them into her house due to her cats. Knowing that diffusing in a closed off room could be an option will be so exciting for her. Thank you plant therapy! I’m so excited to try Confident K9 with my sweet rescue dog! Thank you PT for providing safety information for pets. Yay! I can’t wait to try the travel one for my pup who comes with us on our camping adventures. She rides in the car well enough but she obviously has some stress since she hides on the floorboards. Thank you for adding this line. 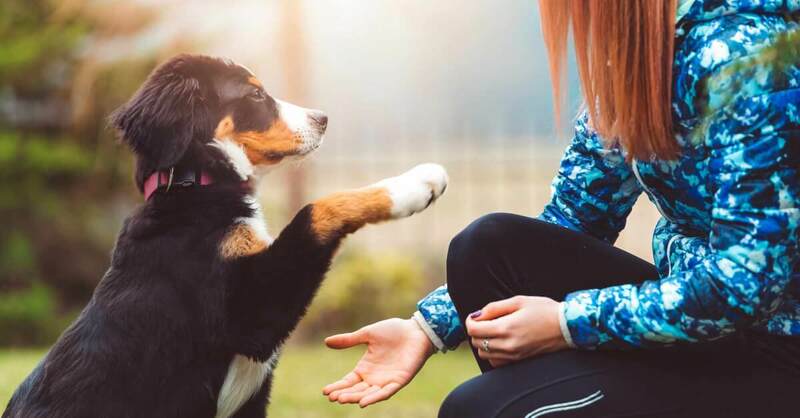 I have a fur kiddo (Bernese Mountain Dog – like the picture) 🙂 who was diagnosed in January with hip dysplasia at the ripe old age of 14-months. 🙁 This led to an onslaught of research in holistic care, EOs safe to use on and around dogs, etc. I have already compiled a good amount of information, but it makes me more comfortable using info (and products, of course) from a company I trust that is full of experts in the world of EOs. I don’t technically “need” any of the current pup EOs, at least not for their intended usage, but I’d still like to try them. I am excited to see what else PT has planned on the pup front. Do you have plans to make a flea & tick repellent EO? That would be fantastic! I’m not sure what our New Products Team has in the works for our Pup & Pony line, but I do believe if you contact our certified animal aromatherapists at [email protected] they can help you with a great doggy-safe DIY recipe that addresses this concern! Solid info about EOs and cats and dogs is sorely needed. Thank you! Ok…so here’s my problem…they are safe to diffuse around my puppy but not my kids…HELP!! 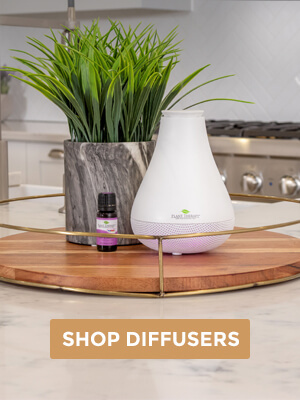 I need something safe to diffuse around BOTH my KIDS and PUPPY!!!!!!! Any advice?? 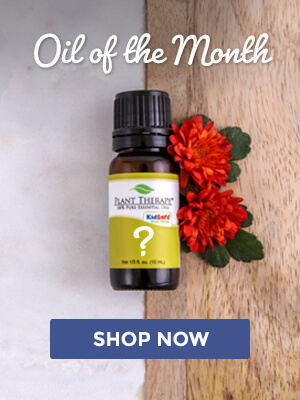 Hillary, here is a link to our chart on single oils and blends that are safe to use around dogs, and you’ll notice many of them are KidSafe: https://www.planttherapy.com/pdfs/PlantTherapy-PupPony-Approved-EO-Singles.pdf I hope this helps! This is awesome! So excited to see this new line from PT! Thank you! I’m so excited about this line of products!! I have a rescue horse and can’t wait to see what he thinks of these blends! You never cease to amaze! Going to try Confident K9 for my 10 yr old boxer who seems to have anxiety when we leave as he ages. Thank you! Great information! Looking forward to more info on EOs and CATS. Keep up the good work, Plant Therapy! Thank you! Is is great information. Another reason plant therapy is the best. Great info. I can’t wait to see how your new line expands. Needing a safe blend for my 12 y.o. golden retriever with stiff arthritic muscles and something safe to use for itchy doggie skin when the seasons change. Cannot wait to try these on my rescue dog. Yeah! I can’t wait to learn more about using essential oils safely around my fur baby. Thank you for the information. So good to read this. I always hear such mixed reviews about oils and pets. Thank you soooooo much for this info and formulating these oils! I look forward to learning more. This is a great summary of the cautions with oils and pets. The new puppy line is great, and we are excited to try them out! I’m so happy to see this new line of products, and can’t wait to try out Happy Trails with my pup, who never outgrew her carsickness like I hoped she would! Thank you! I’m most excited about confidence K9. I’m hoping in the future all oils can be labeled dog safe so it is easier to keep track. This information was very helpful and informative. I’m excited to try some of the new blends for dogs and happy that you’re expanding your product lines for our furry friends! I am so excited about this new line! I ran to share this with my boss, whose new rescue dog has separation issues. You just made a new customer! I am so excited to hear about plant therapy doing an essential oil line for dogs! I purchased the mansion best friend set and cannot wait to receive it! Also a big shout out to your list of safe oils for our fur buddies, it will help me to diffuse safely for my best friend! Thanks for such a thoughtful take on EOs with cats. It is so hard to know what to do since there are so many differing opinions. I look forward to what future research has to say on the topic. In the meantime, I want the paw balm for myself! I am so excited about this new line! I can’t wait to read more about these. My labradane suffers severe separation anxiety! She has destroyed so many things!! This is a definite on my to get list!!! I am so excited to have a blend to help my miniature schnauzer to be calmer when traveling and for when we move later this year, thank you Plant Therapy!! I have birds, cars and dogs. All are indoor pets, and I’m so grateful that you are providing information regarding their safety for when I use essential oils. Especially for my cat; I had no idea about their liver not being able to process some things that we never consider being a problem. Very excited to see these products coming out and even more so to see accurate information posted. Looking forward to more on cats. I’ve become very restrictive on what I diffuse at home even tho my cat has made clear scents he doesn’t care for, I still can’t trust him to know. Great information so far. Thank you! This is SOOOO exciting! I do most of my diffusing at work because of animals at home. To now have PT on my side to help educate me on what I can do to help them is beyond amazing! My dog suffers from terrible separation anxiety so I can’t wait to learn about the new products and stay on top of the PT blogs for more information! I’m so glad plant Therapy is beginning to put out information and education for pets. I have a great dane and a little mixed breed dog that are constantly by my side and need to make sure they’re safe and healthy. I couldn’t be more excited right now. Looking forward to more information! I’m so jumping for joy for this new product line!! Thank you so much!! Literally my heart is pounding! I can’t wait to try each blend!